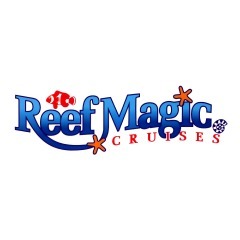 Travelling with Reef Magic Cruises you will benefit from the expert knowledge and experience of a locally owned company.With years dedicated to exploring the extensive reef systems you are guaranteed the location they have chosen for you is as good as it gets. Travel in spacious comfort aboard Reef Magic III, the regions newest high speed luxury catamaran. Enjoy 5 full hours at Marine World our private reef platform surrounded by clear ocean waters and marine life of the highest quality, colour and diversity. Activities include both wet and dry options suiting all visitors from the non-swimmer or first time snorkeller to the most discerning certified diver. You will truly come away with an unforgettable experience and everlasting memories of Australia’s Great Barrier Reef.